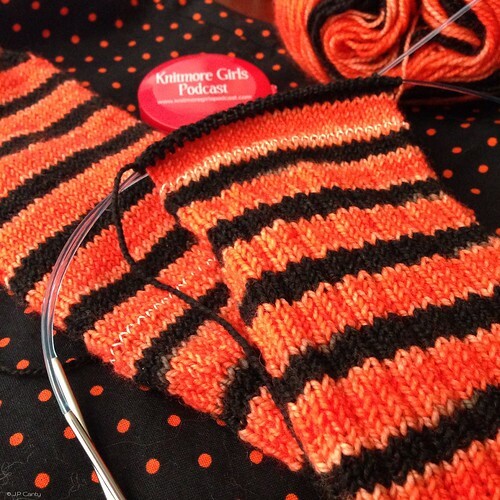 Gigi is knitting a pair of Halloween socks out of Gynx Yarn in the colorway Boo. Laura from Gynx yarn does the Dyer's Notebook Video cast. Jasmin is working on the Stingy Jack socks from Invictus Yarns. Gigi finished a pair of Vincent van Gogh sock yarn by Opal and cast on another pair of Van Gogh socks in the Bedroom in Arles colorway, and she worked on Mystik Spiral Socks out of Mint Rain and out of Regia. These socks have the OMG heel. Jasmin is working on socks out of Regia 6ply in the color 6366, and is enjoying the fall colors. She mentions the Regia on sale at Simply Socks. She is planning to do the Lara Neel afterthought heel with heelflap out of Sock Architecture . Gigi finished Halloween socks out of Poste Yarn in the Elm Street colorway . She is also working on the Wild Iris cowl from the Book of Cowls by Sivia Harding. She is knitting it out of Bijou Basin Ranch's Himalayan Trail in the "Sassenach" colorway #kiltmenowKAL. Jasmin suggested that she do the buttonhole out of Knitting for Anarchists . Jasmin is working on a pair of socks out of Lollipop Yarns in the "Whiskey Bent and Hell Bound" colorway. Amy Beth, from the Fat Squirrel video cast is also knitting a pair in this colorway. Gigi mentions Käsefüsse, which is German for stinky cheese feet. Next prize! A skein from Lisa Souza in the "Deep Fall" colorway. The Grinch-along. 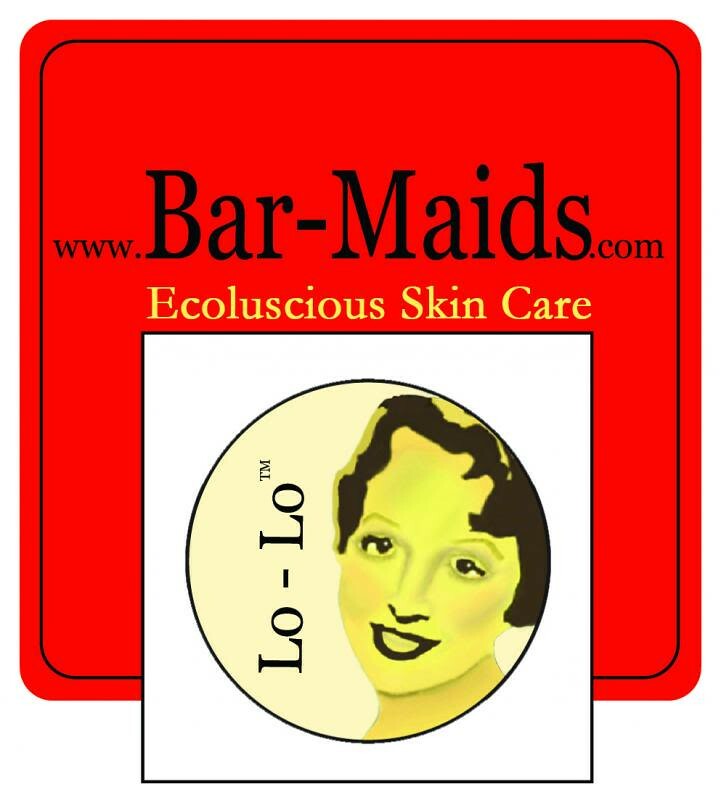 We have extended to starting date to December 1st. Cease and desist all holiday gift knitting! #grinchalong. Knitting only for personal pleasure. 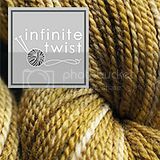 Take pictures and post them in the ravelry group thread and/or on Instagram. We mention the Commuter Knitter and her lovely podcast. spinning fiber for socks. Jasmin mentions Judith MacKenzie McCuin . Jasmin laments Crown Mountain Farms closing doors. She mentions Janel Laidman and Abby Franquemont . Gigi bought Stretch Magic Bead and Jewelry Cord , hoping to use it for waste yarn for heels. Didn't work. Jasmin is having days that are more pretty than smart. She read bits and pieces of Sock Architecture. But not enough. She mentions the Knitmore Vanilla sock. Gigi used her vacuum cleaner like a bobbin winder. Accidentally. This week we purloin Playful Parenting from the A Playful Day podcast, hosted by GreenTriangleGirl. Jasmin talks about the "match game". She uses parenting strategies from Positive Discipline #operationsockdrawer. We talk about the Octopus exhibit at the Monterey Bay Aquarium. Jasmin wants to use technique out of Annetarsia Knits. Boston Jen of Down Cellar Studio likes to knit toys. We talk about our holiday board on Pinterest. Jasmin did some spinning and is almost done with the Weathered Tartan mini bats from Gourmet Stash that she is auditioning for a sweater. Gigi is getting more comfortable with her long draw. She is thinking of maybe spinning the rest of her spinning worsted. I generally enjoy your poscast but lately I found that there is too much discussion revolving around socks. I always really enjoy your book reviews and "Mother Knows Best" as these segments broaden our horizon. Louly. Thank you for your feedback! We tend to talk about what we are passionate about, and while it's socks today, it may be sweaters tomorrow and sewing next week. I really like the fact that you talk about sock knitting because I hold you both responsible for enabling me to become a sock knitter. I used to hate turning heels, but learned about the Afterthought Heel from you, and use it most of the time. I have the Sock Architecture book on my wish list, so hopefully I will learn some new and interesting heels. I love every segment of your podcast and look forward to my Thursday mornings with you!